Apple of course hasn’t said anything officially, but next Monday 9 June should see the launch the 3G version of the iPhone everyone has been waiting for for so long. And it should be a doozy too. 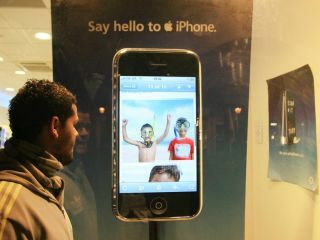 One rumour fast gaining traction is that the new 3G iPhone will be 22 per cent slimmer than last year’s version. Yet it will still pack in more memory (16GB to 32GB) and include a GPS receiver so you can use it as a personal navigator. That’s hard to square with another prediction that suggest all these new features will make the 3G iPhone slightly thicker. Maybe it’s because of the additional space needed for the chrome volume up down buttons that will now be included on the iPhone’s case. Ars Technica also speculates that the iPhone may finally get a decent camera with liquid lens no less, although Charles Jade’s secret informant turns out to be the voices in his head - a comment on how little substance many of the rumours surrounding the iPhone actually have. The best news may be that the iPhone is also likely to be heavily subsidised this time around, selling for around £100 on O2 - that’s nearly three times cheaper it is now. The big question now is how much cash O2 will expect to extract from you monthly for the privilege - although we can’t see prices going much higher than they are already. We’ll either know for sure when the Apple iPhone finally appears in the shops. AT&T employees in the USA have already been told that they can’t take any holiday between Monday 15 June and Friday 12 July. Now Apple employees have been ordered to do the same. Looks now might be the right time to form an orderly queue outside Apple’s flagship store in Regent Street. But the best rumour we’ve heard is that all these iPhone rumours could just be a load of old hokum. Leigh McMullen from Cult Of Mac speculates that the iPhone rumours are deliberate misinformation, designed to disguise the surprise the Apple will really serve up at WWDC - that of the Apple Mac Tablet.